Content – indeed is the king ruling today’s digital landscape. Over the past recent years, the increase in popularity of online content generation has enabled both startup ventures and established brands or businesses to position themselves apart from their competition and establish themselves as thought-leaders in their industry. 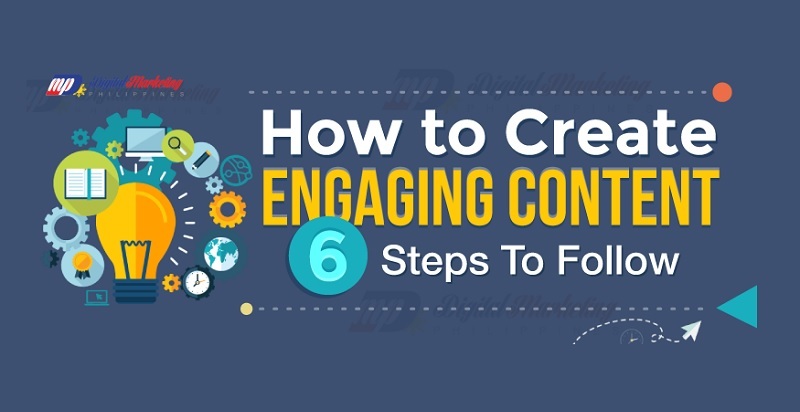 In this article, we are providing ideas and tips on How to Make Content More Engaging. For instance, ridesharing app Uber, which was founded 8 years ago, has been able to reach peak popularity online through the aggressive yet human approach to content marketing. Likewise, tech giants, such as Xerox, Google, and Virgin Mobile have also made it big in the content marketing arena, helping their already well-established brands to remain competitive, and attract more engaged readers on their websites. These success stories only prove that content marketing - despite being one of the newest forms of marketing – is an effective strategy that no business can afford to ignore these. However, it doesn’t also mean that anyone that uses this strategy can instantly become successful. Experts believe that the number of content published on the internet over the past two decades is much greater than what human civilization has ever created over the past 2000 years. With the massive of content being posted on websites, social media, and internet forums on a daily basis, it’s a real challenge for companies to stay on top of the content marketing game these days. The truth is that it takes more than time, money, and effort to ensure a successful content marketing campaign; you have to make sure that your content is truly worth reading. As more companies take advantage of this marketing strategy, along with the challenges posed by the ever-changing search engine algorithms, it’s only imperative to focus on creating quality and highly-engaging content. But what makes an engaging content? Simple: it’s about the reader – their pain points, preferences, wants, and needs. When it comes to intriguing readers, nothing beats a content that tackles its target audience’s issue. No matter how fascinating a product is, it is always more exciting to read about another person overcoming a problem that we all face. To sum up, So, an engaging content is important for businesses as it is to readers. That’s why it’s only important for companies to know the best practices when it comes to creating content in order to maximize their investment and ensure a high level of engagement from their target audience. To know more about the effective content engagement ideas and tips, check out the following informative infographic developed by team “Digital Marketing Philippines”.